Regardless of what type of business you have, creating a quality website for its promotion makes sense. With the emergence of the Internet in recent years, almost everyone gets online when they need to buy something or find out information about a product or service. If you are running a business or starting a new website, quality website design is essential to your success. 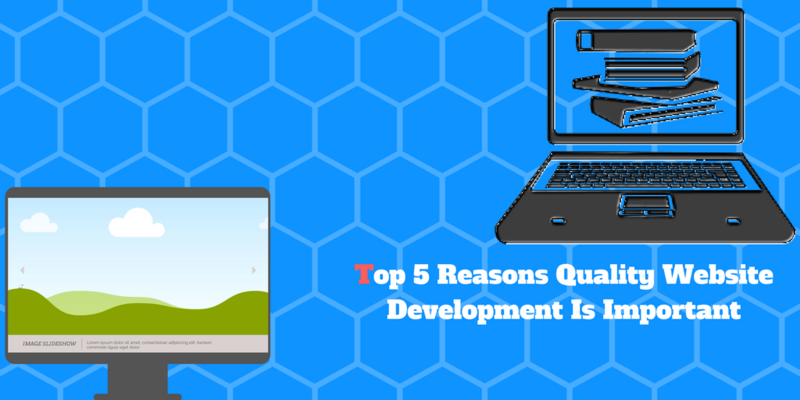 Here are some of the most important reasons that you should consider investing in high-quality website design for your site. One of the most important reasons that you need to focus on high-quality website design is that it allows you to create a professional image. If you create a second-rate site for your business, your potential customers may start to form a negative impression of your business based on your site. Customers expect your business site to be top-notch. They want to be able to see a professional design that looks like the sites of the top companies out there. If you don’t do what it takes to make a good looking site, it may end up costing you customers due to a lack of professionalism. One of the nice things about working with an experienced website consultant is that you can get a site designed that grabs the attention of your visitors. When your site is not designed well, it may have too many elements that are competing for the visitor’s attention. It may not have anything that really grabs your attention. Either option can cause problems for the performance of your site. If you don’t have a site that is designed professionally, you may not grab anyone’s attention and your site may not do very well over the long-term. With a professional website developer, you can create a site that really grabs people’s attention, and allows them to see what you have to offer. A problem that many websites have is that they are not laid out properly. They have too much going on and there is no central focus on the pages. This makes it difficult for visitors to know what they are supposed to do. When someone arrives on a website, they expect to see certain things that help point them in the right direction. If you have too much going on on the page, it can be confusing. When visitors to a site are confused, they will be much more likely to hit the “back” button and look for a different site. Perhaps the most important reason to invest in qualified website consulting is that it can help you get traffic. If your site is not set up correctly, the search engines will not know what to think of it and will probably not send it much traffic. You need to be able to set up the site so that it is search engine-friendly. If it is not in the proper format, it will not be able to attract much free traffic from the search engines. A good web design agency company will be able to do some keyword research and help you develop content around what people are looking for. This way, your content will be based around these phrases so that people will be much more likely to be able to find your site. If you don’t have any traffic, it doesn’t matter how good your site looks. You need people to be able to find your site so that they can find the services and products that you have to offer. If you simply build a site and put it up on the Internet, the search engines may not be able to find it. A little organic SEO work can go a long way toward improving the performance of your site overall. If you have a business website now, is the conversion rate as good as you had hoped it would be? If not, can you figure out what is wrong? There are literally thousands of different variables that you could change which could have an impact on the conversion rate of your site. The conversion rate is the percentage of customers actually does what you want them to do on your site. This could be buying a product or signing up for a contact list. If the conversion rate is not doing well, a good website consulting firm should be able to help you improve the conversion rate. This will add to the bottom line of your business in the long-term.